Last year In December, a group of militants entered a school and indiscriminately opened fire with automatic machine guns. After that horrible massacre of dozens of children in Peshawar Army School, now government has new strategies. They started training school teachers to use weapons and after that, Students are undergoing training to prepare them for potential terrorist attacks. School children and teachers have been visited by police and bomb disposal squads, practicing how to handle firearms, defuse explosives and provide emergency care. If those children want to attend school and get education they have to do that extra effort. The new government directives follows the December 16 tragedy, which saw a group of terrorists stormed the Public Army School in Peshawar, killing 145 people, including 132 schoolchildren. As per government directives, students in Multan and Punjab underwent emergency training which saw a bomb disposal squad instructs classes of girls how to locate and defuse an explosive device. 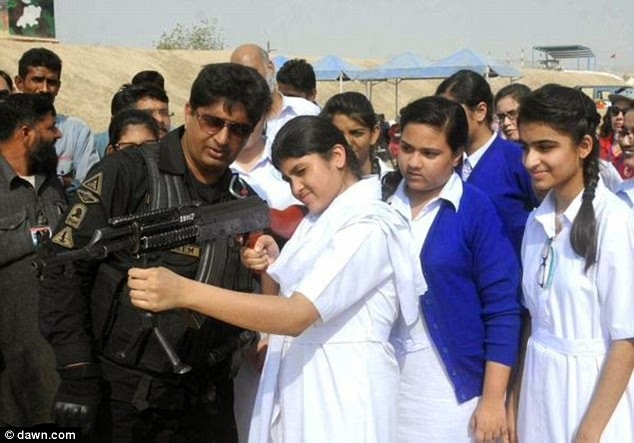 The trainers also trained the school girls how to give assistance to 'injured' people and how to safely evacuate the school if any terrorist activity or emergency happens. 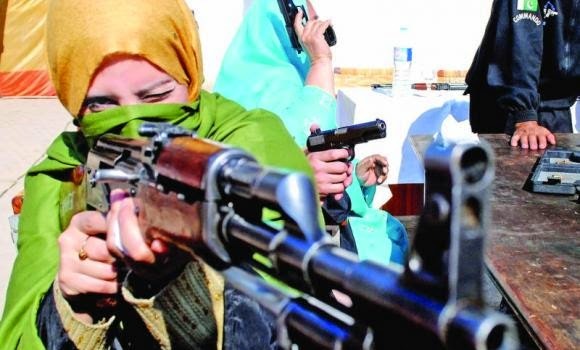 'We have received training and now we will utilize this if the need arises,' a female student at Multan Public School told Dawn.com.In Sindh province, teachers and students at the Mama Parsi school were trained by police at a center in Karachi. Provincial police demonstrated self-defence and gave the students weapons training.